Affects Parameters: Concise explanation PLS! I have been using GFX for awhile now and I'm relatively confident with the program, however the Affects Parameters still baffle me. 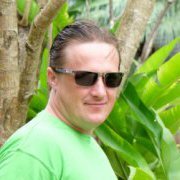 Somethings like branch length are straight forward enough and work as expected but other times there seems to be no logical correlation between the source parameter range and the graph. Using Affects is the most powerful aspect to creating realist plants but I can't get passed to most basic affects. 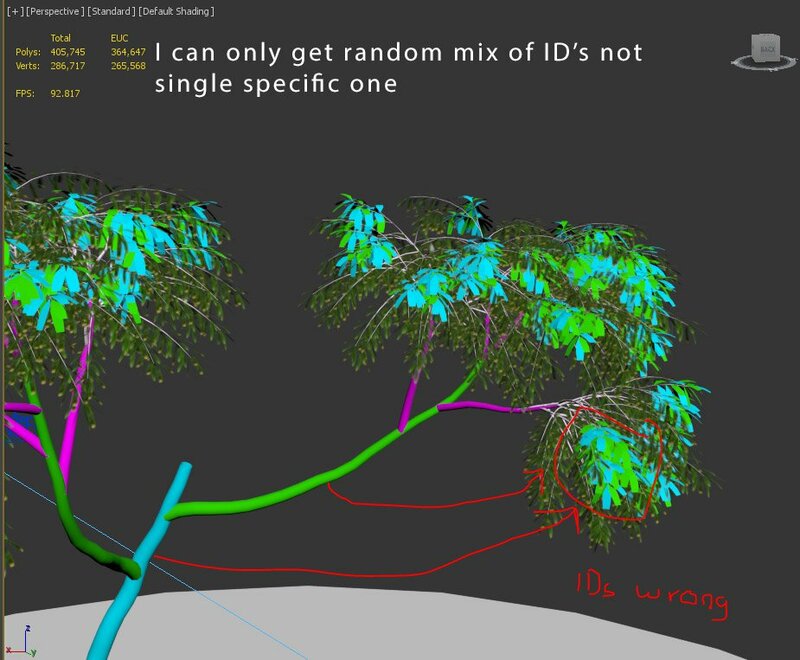 Example: I'm trying to change the material ID of leaves on Path that has a Distributor for the 'branches' and an other Distributor for the 'tip'. 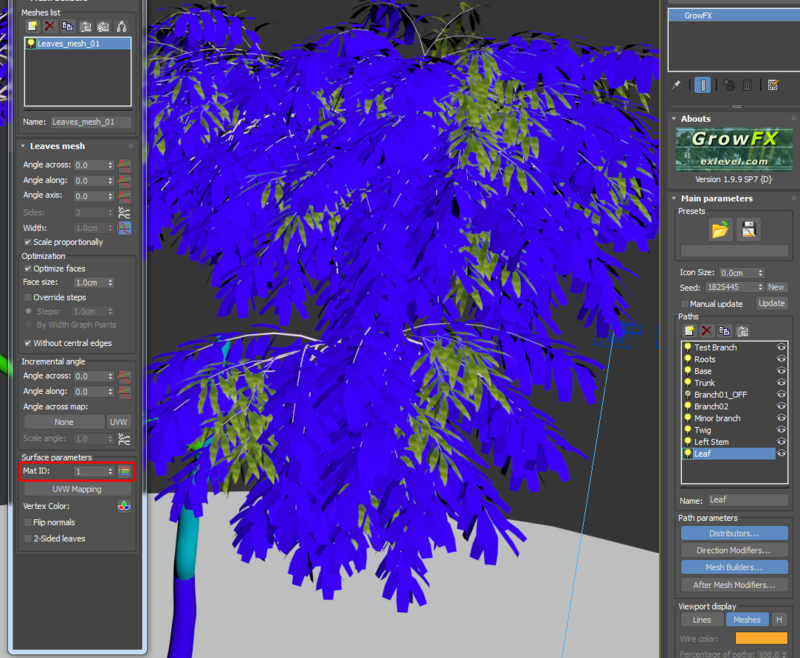 The leaves on 'branches' have mix of different ID's set under the Mesh Builder but I want the tips just to have a single, different ID to represent new growth. Please help me understand this the parameter range and the way the graph affects it. 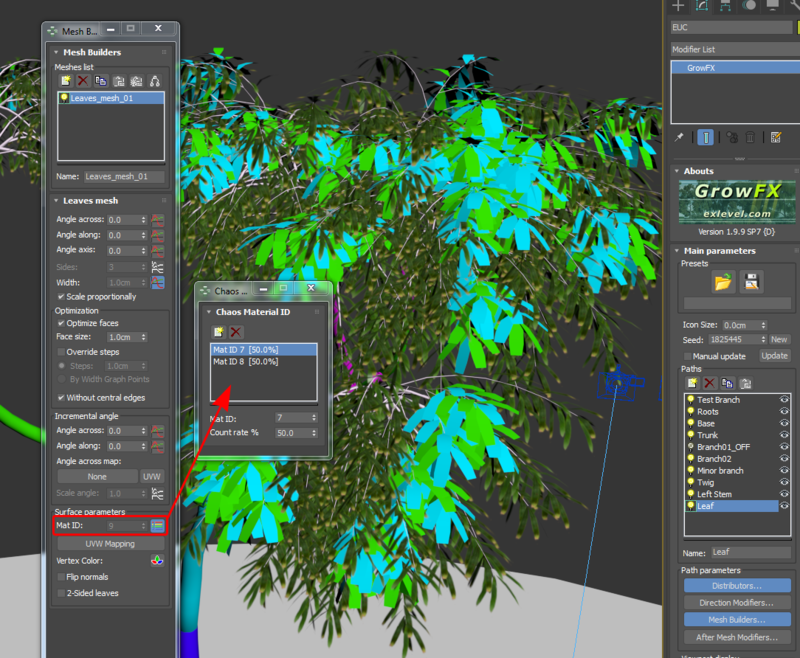 In your Leaf path, in the Leaves_mesh_01 settings, Mat ID has 2 chaos values - 7 and 8 accordingly. Affect multiplies these values by 9, the result will be 63 and 72. I hope this helps to understand how it works. Thanks for taking the time to look at this! That makes sense in this instance, although I feel like there will be more questions to come.